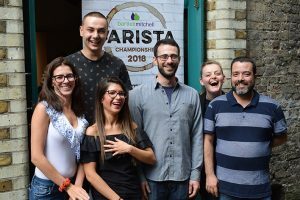 I’m delighted to share some of the excitement, tension and joy of our 2018 barista championship (BMBC). I will also include a little note about the inaugural bartlett mitchell coffee carnival (a first in the food service industry). The Crypt on the Green in Clerkenwell, a quirky vaulted church crypt was chosen as the perfect venue for the BMBC and Coffee Carnival. For one day only, this edgy space was transformed into a homage to all things coffee. After months of training and qualifying through the regional heats, our talented team of finalists were ready to compete in the final. To make sure our baristas are trained to the highest standards, we adopted the stringent International and UKBC marking scheme. The judges included Ricardo Alesso, Dayanna Copini, both trainers for Bewley’s, Graziano Moroni, Head of Coffee for Bewleys and a UKBC Judge and members of our senior management team. The competitors presented their espresso, milk based coffee and a signature drink – which sounds simple. 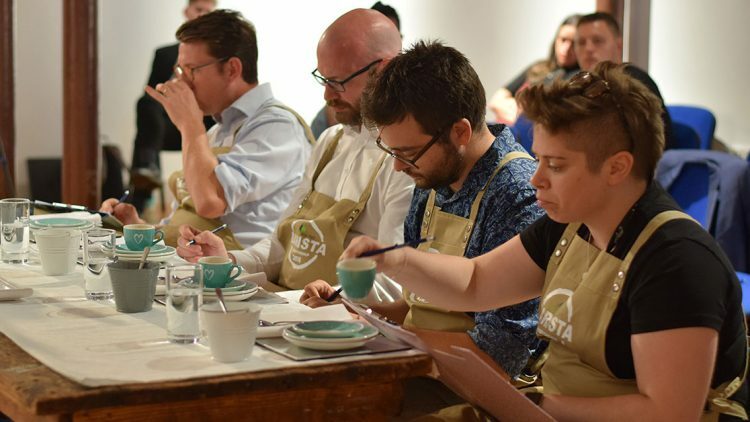 However, eight judges assessed their coffee knowledge, grinding skills, coffee machine use and milk preparation techniques. The four sensory judges evaluated how the competitors explained their drinks, and how the drinks looked and tasted. It was good to see the finalists present their Signature Drinks with links to home, family ingredients and recipes. This even included pairings with food and cakes, which was creative and authentic. I was worried before the competition that the judges may get too “wired” after drinking over 18 coffees. But Graz had it covered, he rotated the judges – though there were a few wide eyes during the Carnival. Miguel Camara, our wonderful Coffee Brands Manager and organiser of the BMBC and Coffee Carnival, was delighted with the finalists saying: “The calibre of this year’s finalists was impressive. Our baristas are going from strength to strength and taking inspiration from coffee and flavour trends. The final scores were very close. Next followed the inaugural bartlett mitchell coffee carnival – a first for the foodservice industry. 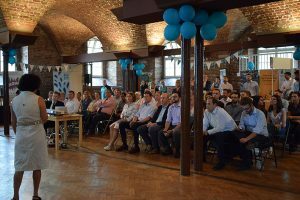 Miguel brought together our wider family of clients, baristas and management from across the UK. We celebrated our quality ethical Perkee coffee and showcased some of our new food ideas and old values. We also used the coffee carnival to share the news that we will now retail Perkee coffee beans in our cafes and online. We showcased our BM Inc. partnerships, where we act as an incubator to enable new, young brands to enter the foodservice industry.